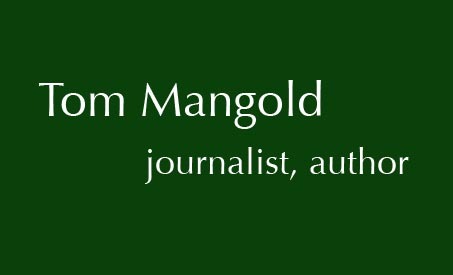 Tom Mangold was born in Hamburg and came to England in 1939. He was educated at Dorking Grammar School then completed his National Service with the Royal Artillery in Germany. After working on local newspapers he became a reporter in London's Fleet Street first with the Sunday Mirror then with the Daily Express where he covered the notorious Christine Keeler scandal for two years. In 1964 he joined BBC TV News where he became a war correspondent covering conflicts in Aden, Vietnam, Nigeria, Northern Ireland, the Middle East and Afghanistan. In 1971 he moved to BBC TV Current Affairs working first for `24 Hours', then `Midweek'. It was here that he helped pioneer the BBC's first news background investigative documentaries including the first ever film about the now legendary and infamous Kray twins. In 1976 he moved to Panorama, then the BBC's top prime time current affairs programme comprising a single subject running for 40-minutes (there are no advertisements on BBC TV). 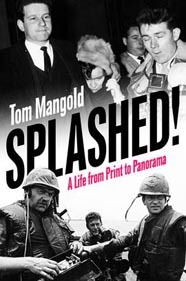 Mangold remained on Panorama for 26 years making over 100 Panorama documentaries specialising in investigative stories. In 1993 his investigation into problems with the sleeping pill `Halcion' won the Business or Consumer Investigative Reports category in the prestigious 14th Annual Cableace Awards in Hollywood. One month later he won Britain's most coveted current affairs prize in the Royal Television Society's Journalism Awards with his investigation into the false arrest and imprisonment for the murder of three men in Cardiff, Wales. The men were subsequently freed. Mangold's investigation into a dental AIDS mystery in the United States won the bronze award in the Best Investigative Report Category at the New York Television Festival in 1996 and in 1999 he was further honoured at the Chicago International Television Competition with a Gold Plaque (the top award) in the Investigative Reporting/News Documentary Category for one of a series of two networked films on biological warfare. Mangold's films have been syndicated around the globe. In the United States much of his work has been carried by WGBH Boston the PBS channel and more recently his material has appeared on the Learning Channel and other cable networks. 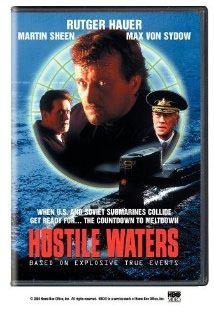 In 1996, following his own copious research into the subject, he proposed a drama-documentary series to HBO and the BBC called "Hostile Waters" about a real-life Soviet/American submarine drama in the Atlantic during the dying days of the Cold War. The subsequent multi-million dollar production starring Rutge Hauer was an international success. Tom Mangold’s five year investigation together with a Kentucky housewife into a brutal murder is currently under development as a major TV series. "Something Rotten in Mayfield" was transmitted in May 2012 and met with considerable acclaim. The BBC online version of the story was published in May 2013. Mangold is currently preparing a special one hour edition of BBC TV Panorama which will contain new revelations of an old scandal – the notorious Christine Keeler/John Profumo affair which rocked Britain in 1963. Filming is planned in 2019/2020 of his Vietnam war book “The Tunnels of Cu Chi” with a script written by Pullitzer Prize winner Garry Trudeau. In October 2003, Mangold reported and presented the very first documentary for Channel 4 on the scandal surrounding the suicide of government scientist David Kelly.